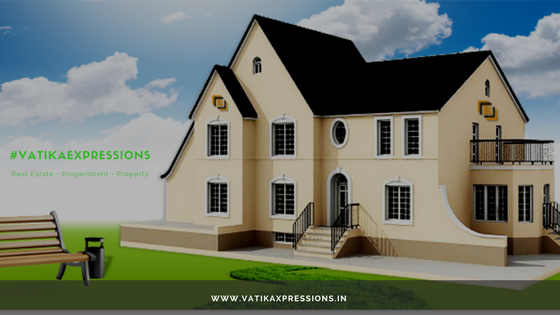 Vatika Xpressions is an upcoming residential development by Vatika Group offering 2 and 3 BHK apartments at a very low price without lacking in pleasantries and facilities. Stunning interiors, modular kitchen, modern wiring, and superb wall paints highlighted by pleasing flooring and wide balconies, these beautiful floors have everything that is needed to enjoy a luxurious and comfortable life. Xpressions by Vatika Group provides the best luxurious apartments in Gurgaon that highlights a quiet and serene living with adequate comforts. It is a hot property in Gurgaon that reflects latest architectural styles and designs. The residential apartments are beautifully planned with smart and chic fittings which can soothe your senses whenever you step in your home after a tiring day. Spread across acres of land, Vatika Xpressions is a stunning residential project offering the latest features and facilities for a world-class comfortable living. The residential units are very classy and offer an area ranging between 1350 sq. ft. to 1700 sq. ft. depending on the configuration. Built with the vision of bringing world-class living comforts, you will enjoy a wonderful and sophisticated environment here. It is a low rise project by Vatika Group that offers best homes in Gurgaon. These homes are a heaven for those looking around to buy a house that has unique features. The interiors are aesthetically designed and inclusive of all kinds of utilities that you have ever imagined to make your life comfortable. These homes will make you feel as everyday is an excursion. Featuring a peaceful natural living space with an abundance of beneficial amenities and comforts, Vatika Xpressions Gurgaon approves to be a great investment. 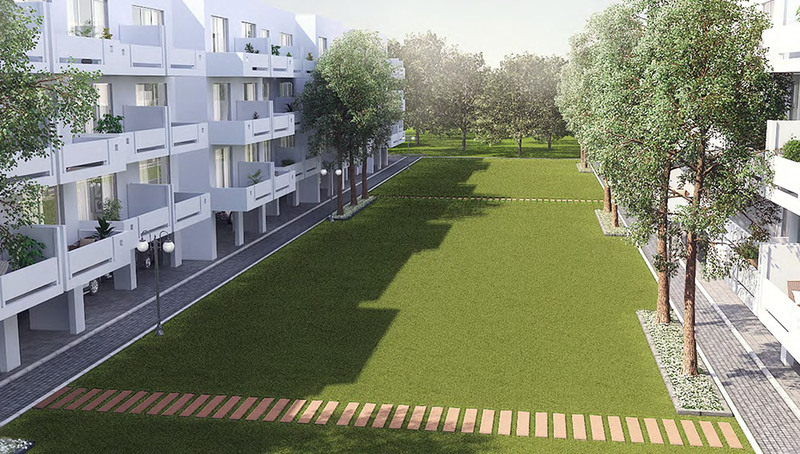 Low-rise independent floors, one unit on each floor, options for 2 BHK and 3 BHK in different configurations, stilt parking for each unit, wide balconies giving panoramic view, double-glazed window frames, plastic emulsions with vitrified tiles, and quality fixtures and world-class interiors are some of the key features of the project. Well-connected to Dwarka Expressway, the project is slated for possession by January 2018 with a provision for “No Rent, No EMI till possession”. Vatika Xpressions is designed beautifully and offers world-class amenities such as beautifully landscaped gardens, gym, swimming pools, lift, clubhouse, rainwater harvesting, ample car parking, 24 hr power backup facility and much more. 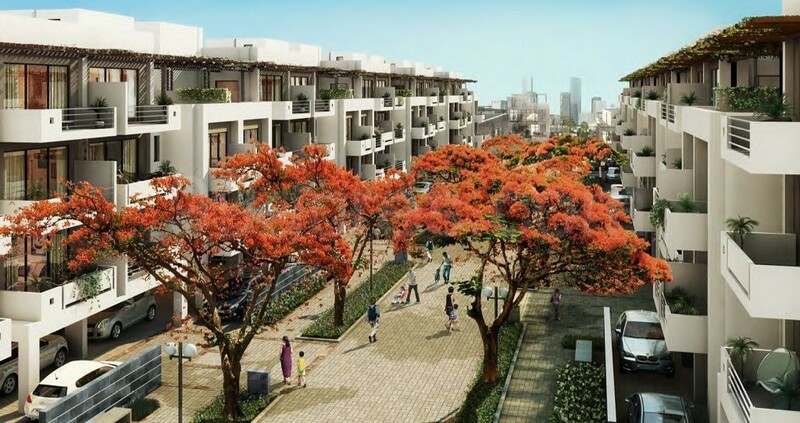 Open air spaces are set apart via manicured parks, green spaces with strolling and jogging tracks, and proper parking area for residents as well as visitors. Various wellness and unwinding zones within the complex will let you unwind after a hectic schedule. The residential units have premium indoor specifications alongside the capable planning and structure. These homes are Vaastu-compliant and offer proper ventilation of natural air and sunlight. Located at Sector 88B in Gurgaon, the complex is well-connected to all the major locations of Delhi NCR. The complex offers unmatched connectivity to the important landmarks and places of everyday utility such as hospitals, schools, shopping malls, parks, recreational centers, etc. It also has great connectivity with two major roads, Pataudi Road and Dwarka Expressway, which makes it a promising property to invest in. Vatika Xpressions price starts at Rs. 72.42 lakhs and moves up to Rs. 1.08 crores, depending on the configuration. There is an attractive payment plan for the investors. 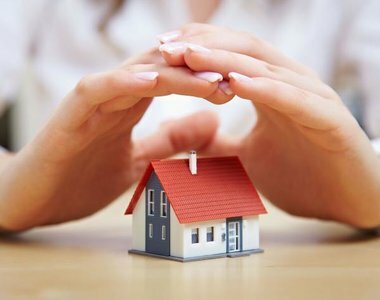 Home loan facility is also available for the convenience of the buyers. Located at Sector - 88B, Gurgaon. Sultanpur Bird Sanctuary - 5 KM. 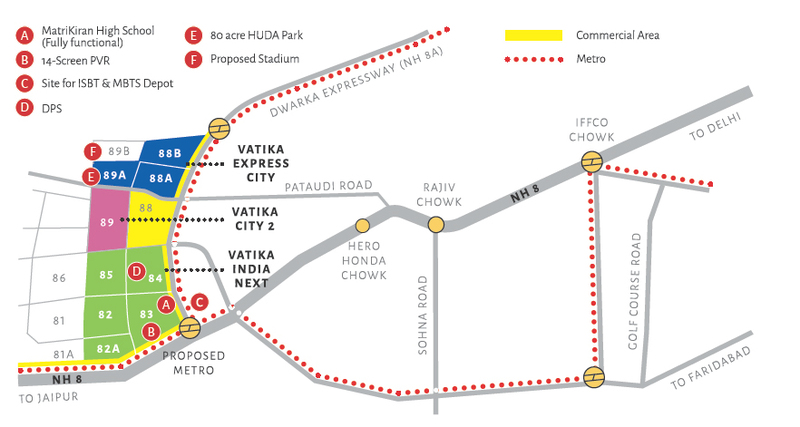 Vatika India Next - 6 KM.